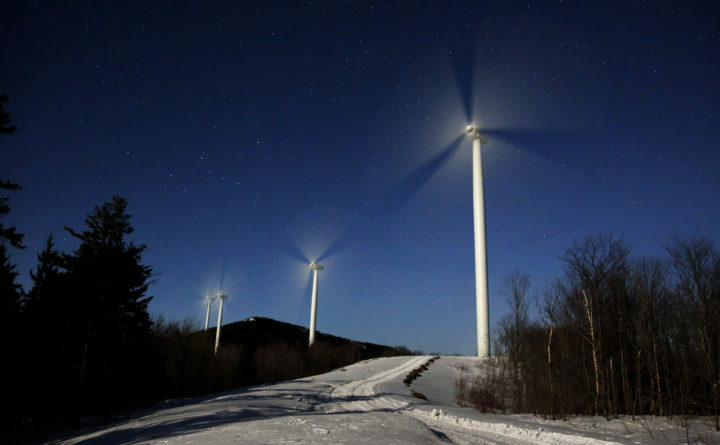 The blades of wind turbines spin under the light of a full moon at the Saddleback Ridge Wind Project, early Wednesday morning, March 20, 2019, in Carthage, Maine. The first day of spring blew in with gentle winds and cold temperatures. Warmer and wetter weather is expected later in the week. Good morning. Temperatures today will be in the mid-40s throughout the state. Artist's rendering of the proposed Nordic Aquafarms land-based salmon facility in Belfast. 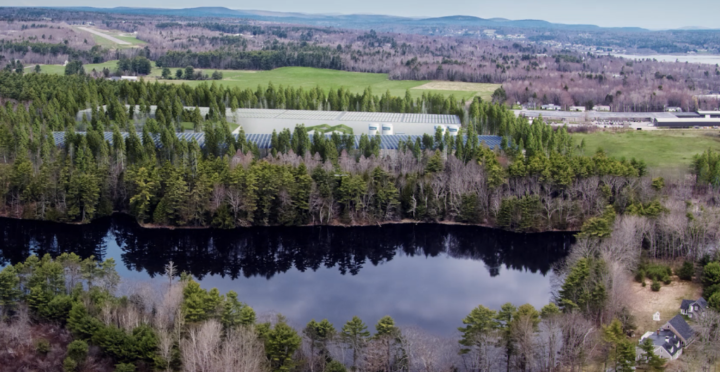 –Nordic Aquafarms, the Norwegian-owned company that wants to build one of the world’s largest land-based salmon farms in Belfast, is slowly moving forward with its permit applications and will hold another public information meeting at 6 p.m. on Tuesday, March 26. –The Legislature’s transportation committee this week unanimously opposed a bill that would have required the Maine Department of Transportation to halt all work on the project temporarily while a private company hired by the state would conduct a new analysis of the project and recommend whether the state should continue the project that would extend I-395 through parts of Brewer, Holden and Eddington. –Cob van de Sande watched in disbelief as a fish dragged his ice fishing line and trap down through the hole. 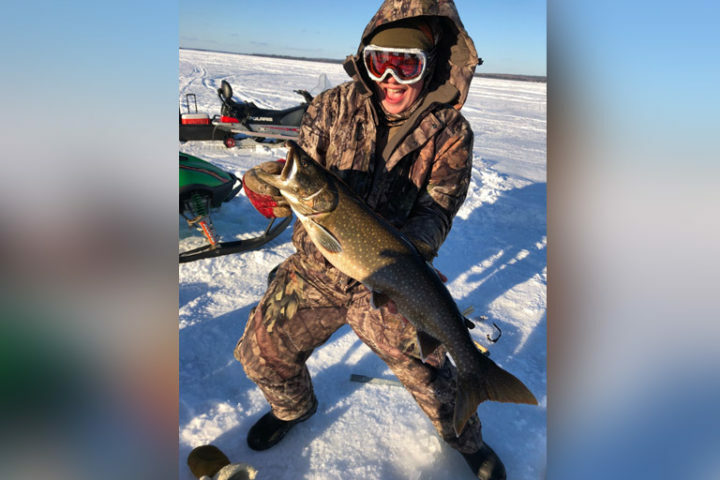 Hours later, when pulling his last trap, the teen from Amherst discovered that he was hooked onto another fishing line and the story of a lifetime. –State corrections officials, former inmates and coastal employers gathered Wednesday to tout the benefits of work release and other programs designed to help people who have completed prison sentences find work, avoid recidivism and become community assets. 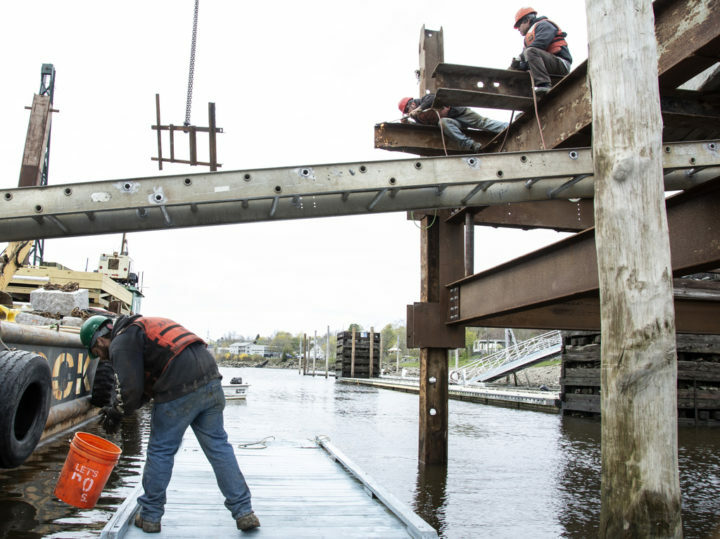 Prock Marine Co. of Rockland worker Alex Allen pours water on the deck to douse sparks from a girder being welded above him at Ellsworth Harbor Park and Marina in 2018. The crane is carrying a metal brace that will go between the girders. –City officials last year expected the installation of diesel tanks and the replacement of gasoline tanks at Harbor Park Marina to cost $150,000, but had to increase their estimate to $336,500 because they couldn’t find a qualified contractor at the lower price. –Matthew Hochman and his wife, Angel Hochman, have owned Trailhead Cafe since 2012 and, at times, have had difficulty paying the cafe’s rent. Its landlord is the Criterion Theatre. Hochman, the vice chairman of the Bar Harbor Town Council, plans to run for re-election in June, and he’s hoping the cafe will remain open at some Bar Harbor location. 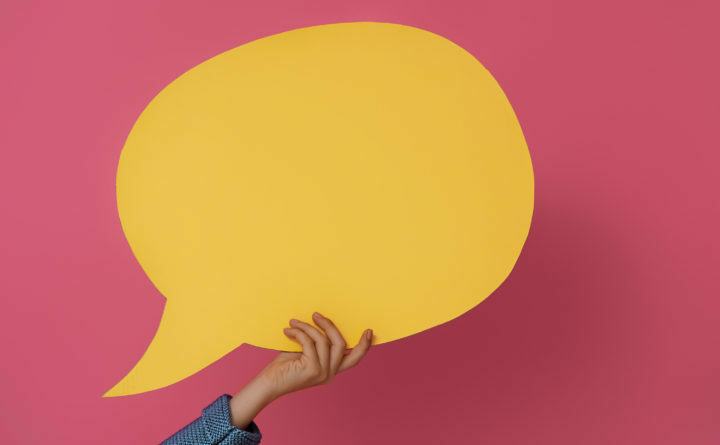 –Thank you to the hundreds of readers who got in touch following our open call for input on our comments policy in recent weeks. The new policy would not have been possible without you. We know that not everyone will agree with all of our decisions. But we hope you will respect them, for the sake of making BDN comments a decent place, with decent people, having decent conversations. The new policy in full is over here. A number of commenters also asked for an FAQ, which we’ve put together here.